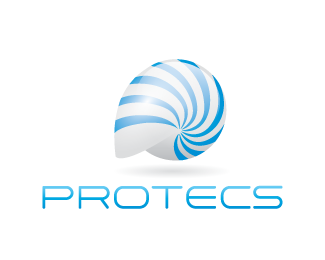 Protecs logo is based on a shell of a sea creature called the Nautilus which is a kind of octopus with a shell. Protecs is a house renovation company and they wanted an abstract logo, so I made this cause a shell is a house of a see creature and protecs which is a short for pro techs, however in my mind sounded more like protects. Which the shell is both the home of the creature but also protects it. However also the shape of the shell is shaped in kind of P shape which is the initial of Protecs. However this logo pitch still has not chosen a winner yet so it not available.